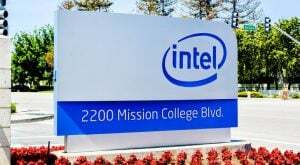 Home / Market Insight, Financial Articles / Nvidia Acquires Mellanox: What Does the Deal Mean for Intel Stock? The merger does make a lot of sense for both MLNX and NVDA, as both companies have been long-time partners. They also are leaders in the category for high-performance computing. NVIDA, for example, develops GPUs (Graphics Processing Units) whereas Mellanox focuses on technologies for internet connections. (Both companies developed the world’s two fastest super computers for the U.S. Department of Energy.) With the transaction, the combined company will power more than 250 of the world’s 500 largest supercomputers. Article printed from InvestorPlace Media, https://investorplace.com/2019/03/nvidia-acquires-mellanox-what-does-the-deal-mean-for-intel-stock/.